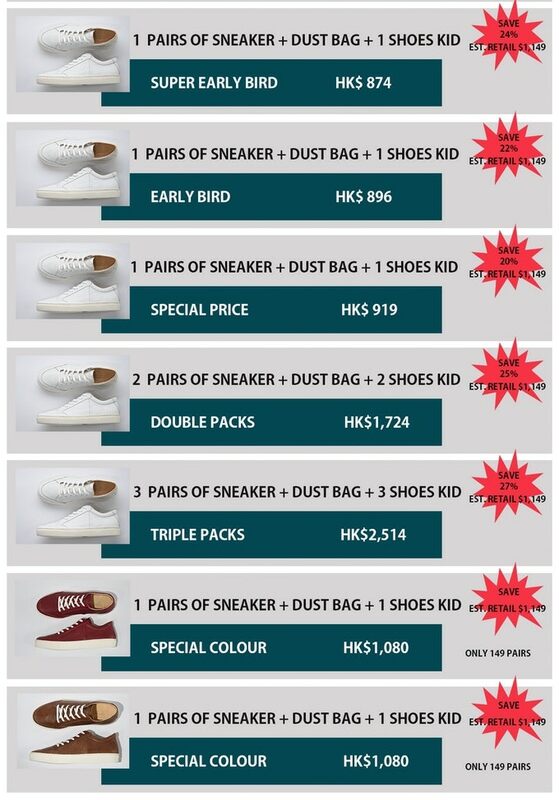 We give 1 pair of school shoes to Disadvantaged children of sneaker you get. The ReMaker has been working on upcycling concept for more than 14 years. We transform unwanted materials such as Billboard (Vinyl), Truck inner tube, Motorcycle inner tube and Truck cover sheet that abundantly find in Thailand. Among those are clothes that is a huge waste since people only worn them just few times when they are still in fashion and then left it over when it was out. These tone of clothes has become a waste and never use worth enough its value. Leather jacket is a part of this fast fashion and it take so much environmental cost to produce one jacket. 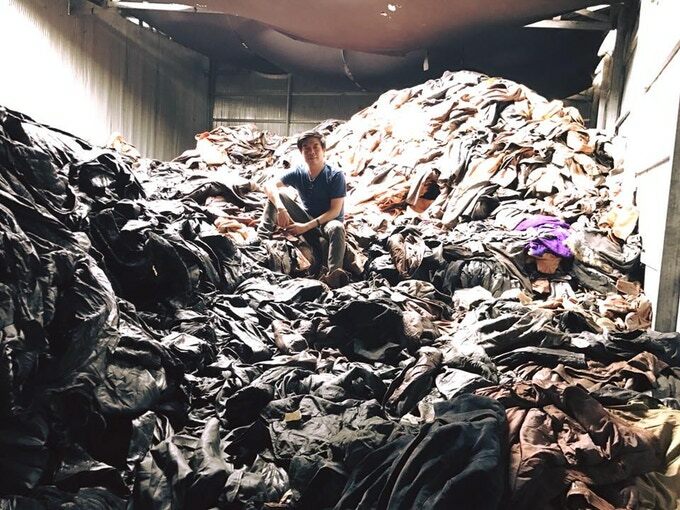 It is now become a global issued because many tannery factories have contaminated the environment from their process. In this industry, factories are under regulated which lead to wastewater being release into public water area before going through appropriated treatment. The residue from manufacturing process effects water, soil and the air, creating harmful impact to environment and ecology. On average, consumers use clothes only 7-8 times before stop using them and buy a new one because it is more trendy. Huge amount of good quality used clothes had been left in the closet before, later on, go to the landfill. The ReMaker want to be the medium reminding people to use the resources efficiently before you dump it into the landfill. 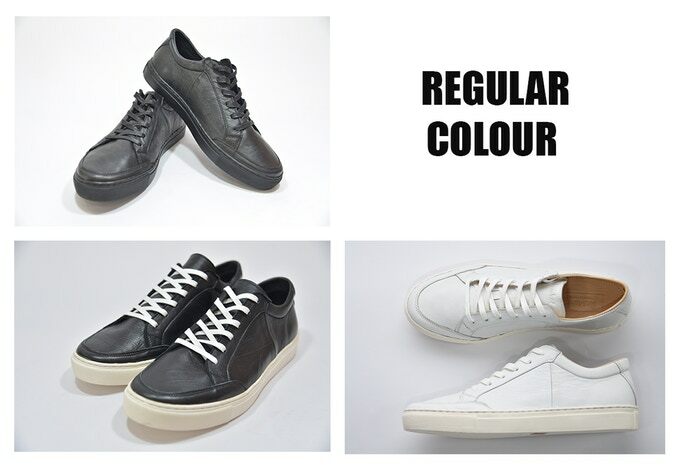 The ReMaker’s Sneaker is timeless style with minimal design to ware in all occasions. Like the vintage jacket, they are super soft after time and time of using. 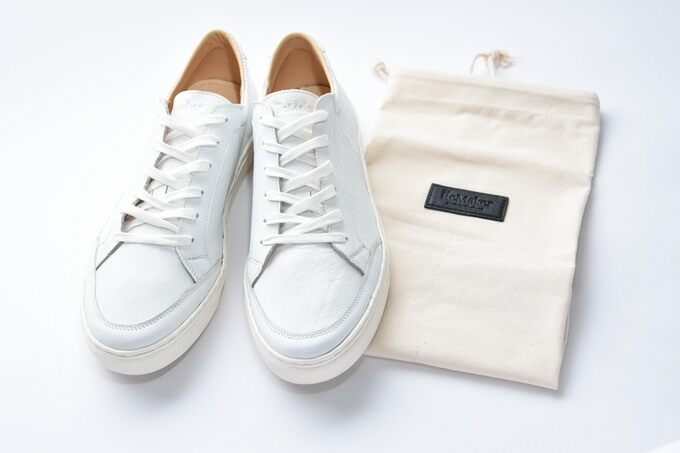 When we transformed it into a sneaker, you will feel soft and comfortable at the very first time you wear it even wear it without socks. As pert to preserve out environment, we decided to produce under the traditional method, purely hand made, to avoid using less machines and electric power as possible. You can be sure that we will only decrease the electric power but not the quality you will get it from the ReMaker’s sneaker. 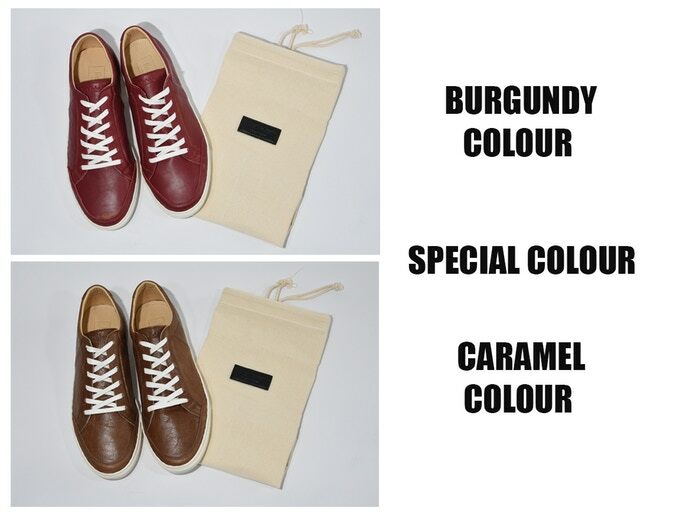 How to check your size? 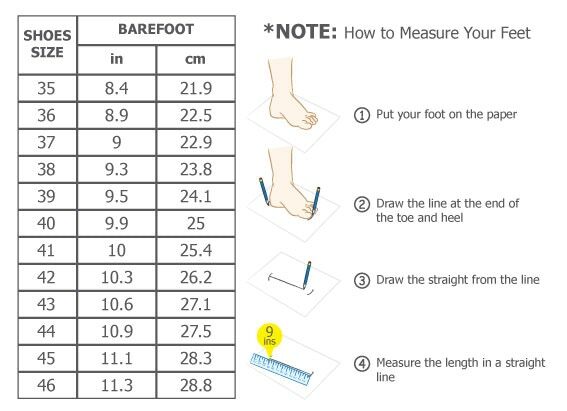 Check your barefoot with comparison scale as follows. – Stand against the wall. Step your foot on the paper and marking on the above of toe and heel as picture . – Measure your marked from toe to heel. Then use this length to compare with the scale as picture. One for you One for them. 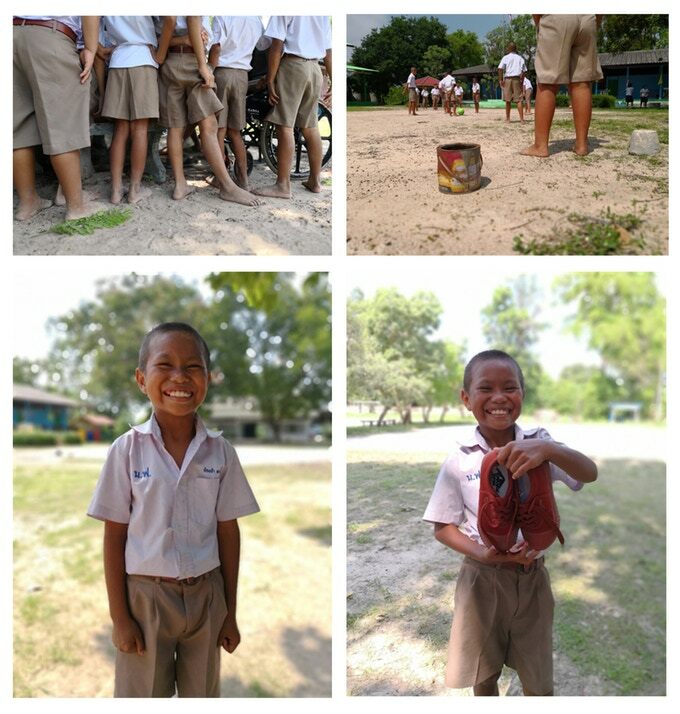 The ReMaker always do CSR and this time we realized that in Thailand have a lot of children with disadvantage who need a new shoe for school. You can help providing them new shoes while you order one yourself with us. Every sneaker you support in our project; another pair of school shoe will be sent to these kids.